The Chief Judge of Rivers State, Hon. Justice Adama Iyayi-Lamikanra, yesterday, withdrew from presiding over the murder trial of a chieftain of the All Progressives Congress (APC), Hon. Ojukaye Flag-Amachree. Flag-Amachree, who is also the former chairman of Asari-Toru local government area of the state, is standing trial over the murder of one Smart Soberekon during the 2015 general elections in the state. 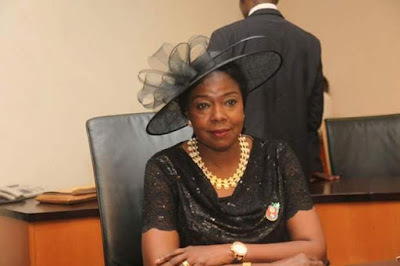 Iyayi-Lamikanra, while announcing her withdrawal, said she had already reassigned the case to another judge following several petitions against her to the Nigeria Judicial Commission (NJC) by the accused person. She however, in her ruling, rejected a bail application made by the Flag-Amachree, who was brought to Court on a stretcher, to take plea for a fresh murder charge and attempted murder against him. LEADERSHIP gathered that the APC chieftain could not take his plea for the new charge of attempted murder as he was unconscious. Recall that Flag-Amachree, who appeared in court at the last adjourned date could not take his plea due to the absence of the trial judge, Iyayi-Laminkara. At the resumed hearing, counsel to the accused, Emenike Ebete had told the court that the accused cannot take his plea following his current state and moved for bail application. Prosecuting counsel, Godwin Oblar, moved against the bail application citing section 220 of the criminal proceedings of the River State Law.